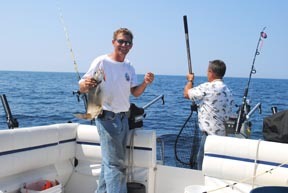 With over 35 years of boating and fishing experience Captain Brian offers you a great fishing or sightseeing experience in the Keweenaw Peninsula. Brian received his Captains License from the United States Coast Guard(USCG) in 2009 and offers you an experience you will not forget. You can feel safe with him at the helm; he has navigated and fished the world’s largest freshwater lake, Lake Superior for over 40 years. 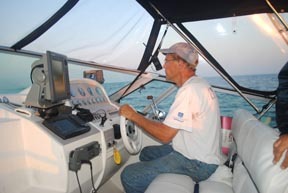 Your captain is a business owner of 30+ years; his family and he have a great passion for the water and fishing. Brian’s past business experiences include printing, management, sales, engineering, quality control, product testing, drafting, machining, and cooking. 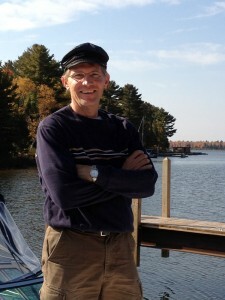 He is planning to navigate the Great Loop and you can follow his blog and progress at www.sandpointcharters.com/greatloop.